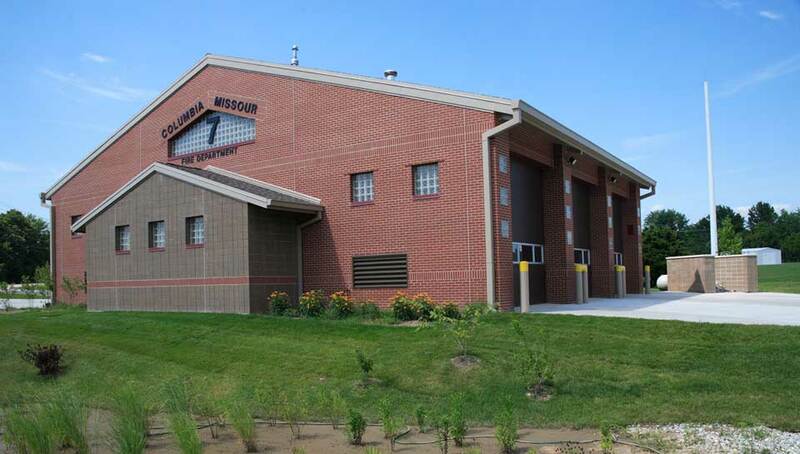 Fire Station 7 - Columbia, MO - PWArchitects, Inc. 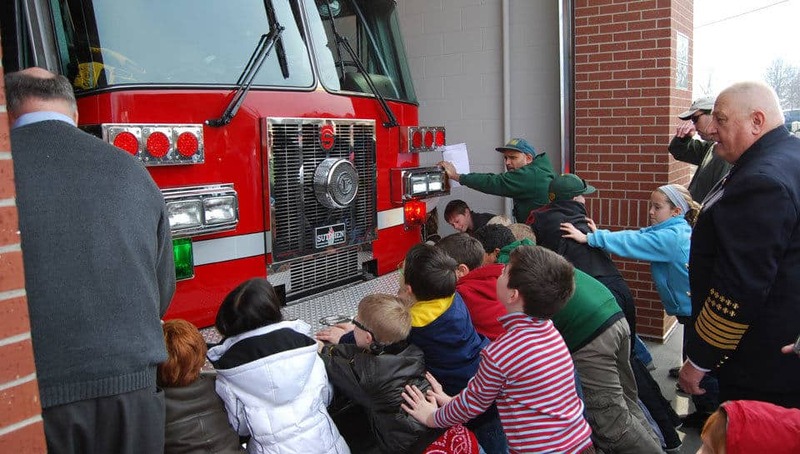 In 2006 the City of Columbia commissioned PWA to design a Fire Station to replace the existing Fire Station No. 7. Working with the prototype for Station No. 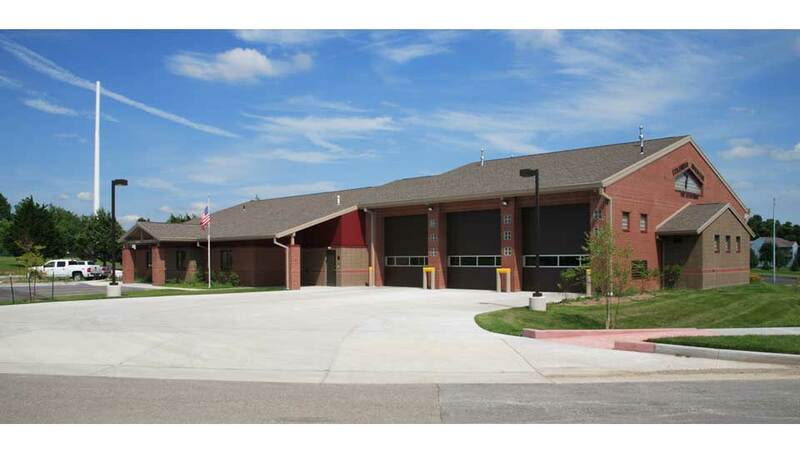 8, a new plan for Fire Station 7 was developed to register the building with a LEED Silver Rating. 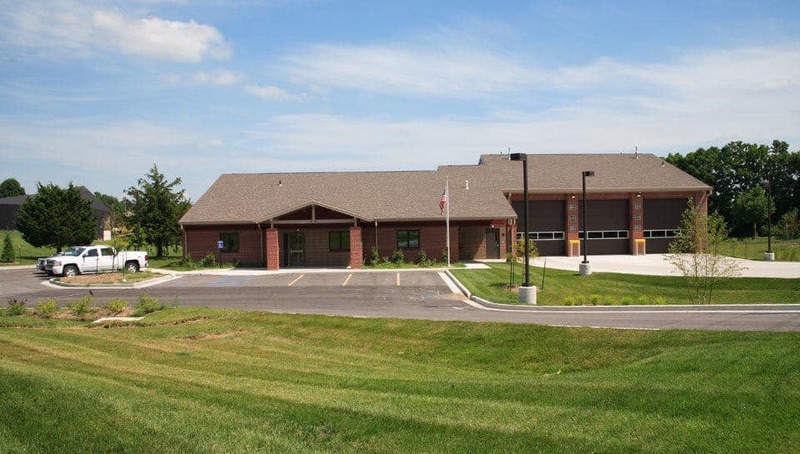 The new 3-bay, 7,900 square foot building provides for the comfort of up to 8 firefighters per shift with a kitchen, dining room, living room, firefighter bunk room, men and women bath facilities, officer quarters, laundry room, exercise room, watch room, and a patio. The new site for the station allowed for the use of many new stormwater management techniques such as a bio-retention pond and a rain garden with native plantings. The project involved the use of a lot of recycled content materials, certified wood products. A waste management program was used during construction. Porous concrete paving for storm water collection. Rain garden and bio-retention basin for cleansing stormwater runoff. Native landscape design minimizing nee the for irrigation. Use of certified wood for rough carpentry, doors, cabinetry, and trim. 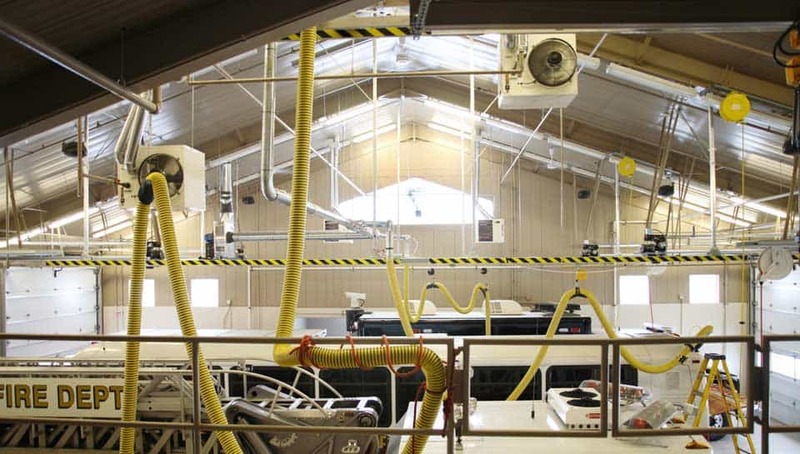 Extensive use of regionally available materials for the project from concrete to roofing. Extensive use of recycled content materials throughout. Material reuse from existing Fire station No. 7. Ground source heat pumps for heating and air conditioning. Passive solar design elements such as clerestory windows, proper solar orientation, and operable windows.